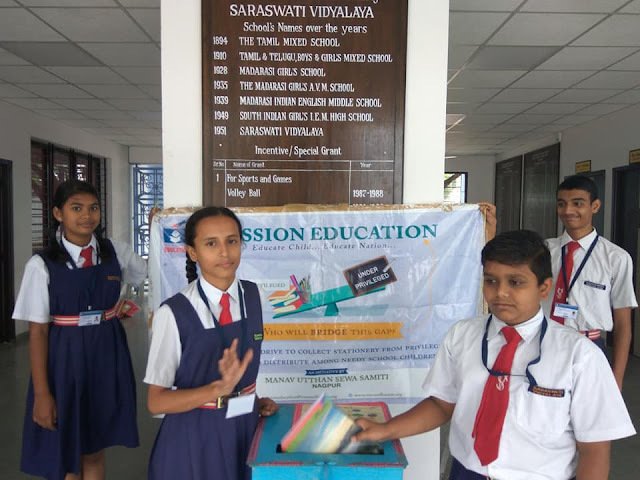 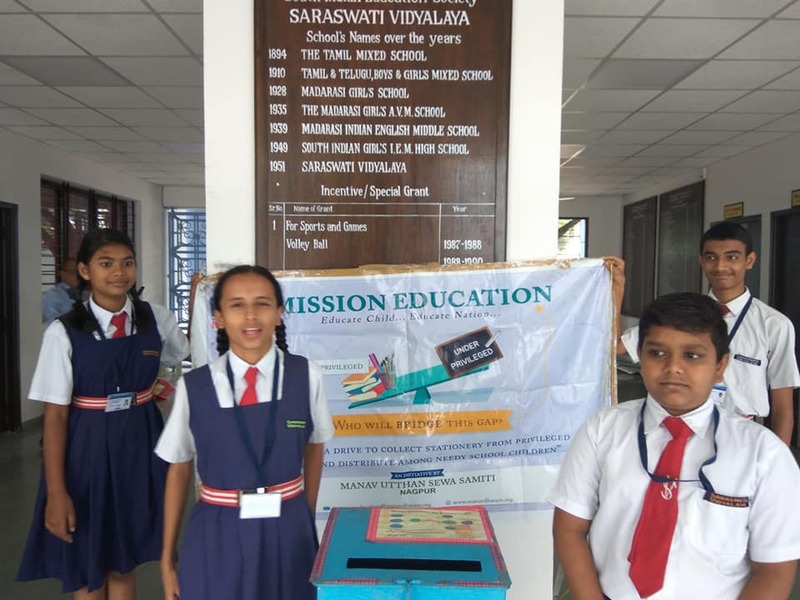 Mission Education an initiative by MANAV UTTHAN SEWA SAMITI: Saraswati Vidyalaya, Shankar Nagar, Nagpur donated stationery for the underprivileged children towards Mission Education Activity under Manav Utthan Sewa Samiti, Nagpur. Saraswati Vidyalaya, Shankar Nagar, Nagpur donated stationery for the underprivileged children towards Mission Education Activity under Manav Utthan Sewa Samiti, Nagpur. 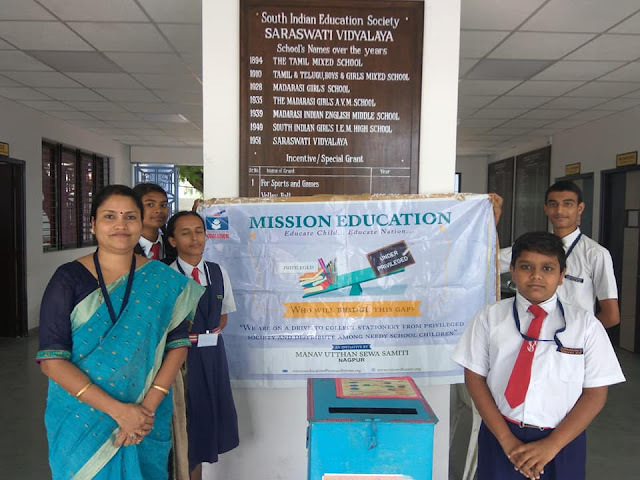 Saraswati Vidyalaya, Shankar Nagar, Nagpur donated stationery for the underprivileged children towards Mission Education Activity under Manav Utthan Sewa Samiti, Nagpur. Very thankful and appreciate the entire management and students of Saraswati Vidyalaya for lending their wholehearted support.